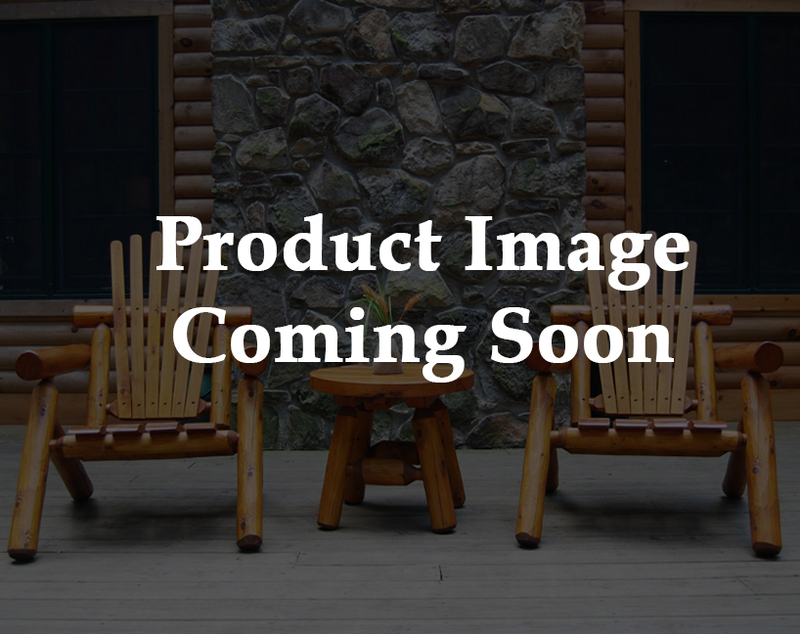 Rustic white cedar log outdoor tables, chairs and swings to enhance your backyard, patio, decks or other outdoor living spaces. 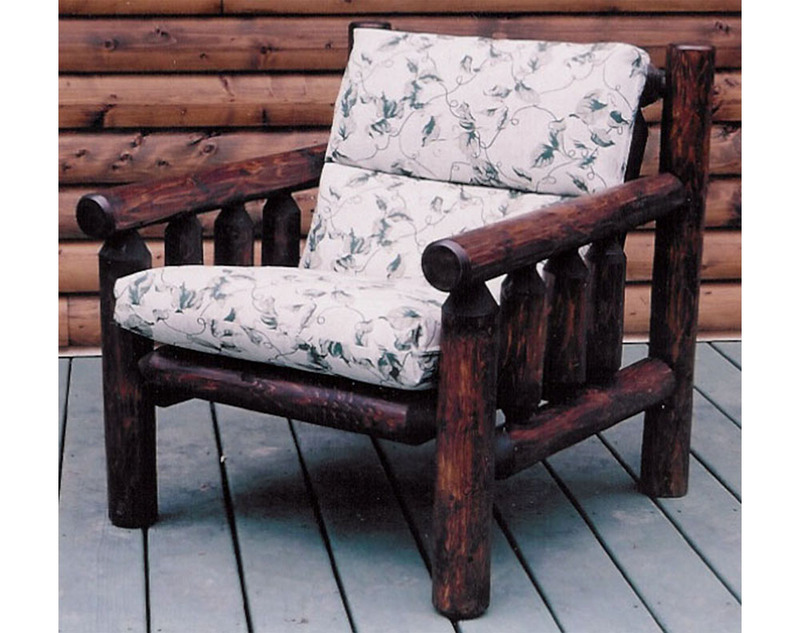 Patio furniture made with cedar is both rustic and very durable! Here at Briar Hill Rustic Furniture, we’ve taken the time to organize our product offerings into convenient categories. 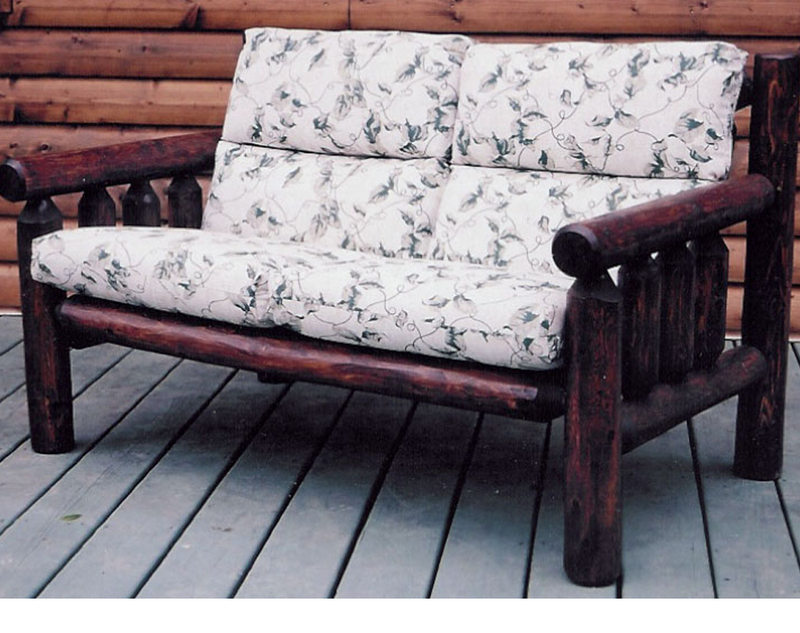 Whether you are looking for indoor or outdoor furniture, or custom furniture, we’ve got what you need right here. For instance, you may not be aware that we manufacture more than just rustic cedar furniture for inside and outside the home. 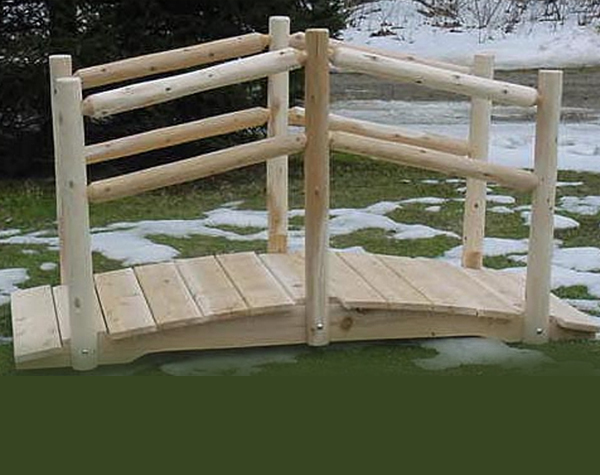 Briar Hill also produces porch and deck railings. White cedar railings may be the perfect solution to finish your loft inside your home or to refit your staircase. You just need to find the measurements for your space and consult with our company representative for pricing and scheduling details. Briar Hill also makes decorative pieces such as wooden clocks; these pieces are perfect to decorate your home or office. You can also give a wooden creation as a gift to someone you know. Browse through our photos and ask about pieces you don’t see that we might be able to make upon special request. Our company also creates custom furniture pieces. 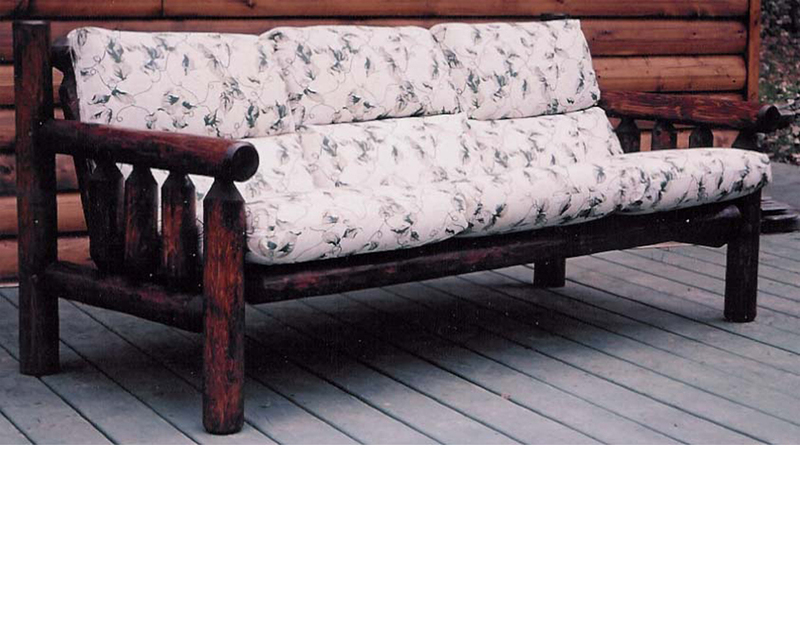 Each piece of white cedar furniture is suited to your individual specifications. Work with one of our designers to create the right pieces for your home or business setting. The possibilities for building furniture with white cedar are only limited by your imagination. For the outdoor setting, Briar Hill makes pieces to cover a whole deck with white cedar furniture. You can plan a deck space and envision the rustic cedar furniture pieces that will make this space utilizable by the whole family. The more times you gather outside, the more you enjoy your total property space. For instance, we’ve got Rustic Cedar Log Tables. 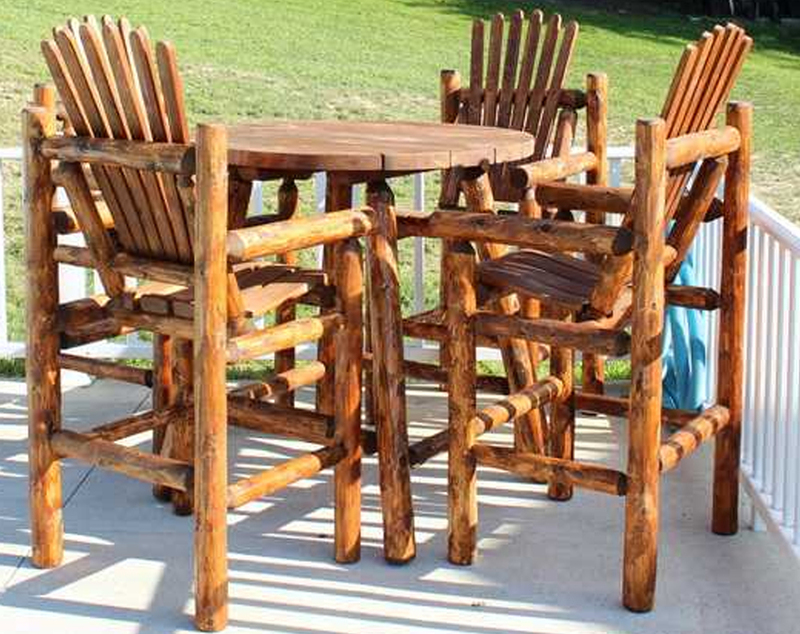 You can combine a log table with our Cedar Log Benches to create an outdoor dining room. If the dining area is covered, you and your family can eat al fresco any time of the year, even when it rains or snows outside. Finally, we want you to imagine the possibilities for outfitting a whole room with white cedar furnishings. Our Rustic Dining Room Furniture creations can transform an ordinary kitchen or dining room into a wooden paradise. Work with one of our customer service representatives to find the perfect combination of cedar pieces for your decorating budget. For more information about products shown here, please call 866-744-9913. We look forward to servicing your needs as a consumer of white cedar furniture. Briar Hill furnishings are backed by the guarantee you would expect from a first-rate manufacturing company!